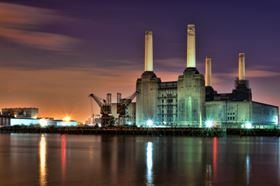 Gas turbines in power stations require clean air. 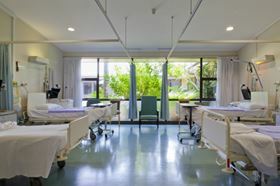 Air quality in environments such as hospitals is extremely important. 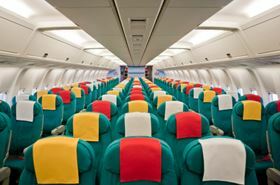 Cabin air filtration is essential in aeroplanes. 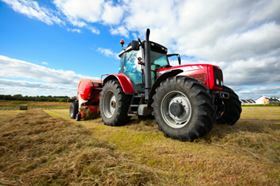 Filters can be fitted to agricultural tractors to protect the driver from soil particles. 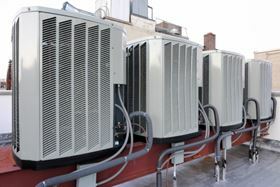 Building ventilation and air conditioning is a major application for air filtration. 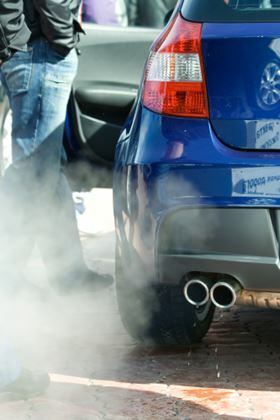 Dealing with diesel exhaust fumes is a major driver for the filtration industry. In a number of ways, air and other gas filtration could be regarded as the less exciting part of the filtration business, by comparison with liquid filtration. Certainly it is much smaller, making up around 15% of the total filtration market (about one sixth of the market for liquid filtration). However, its applications are to be found throughout almost every aspect of human activity or endeavour, some of which are critical to safety or economic success, and many of which are growing in importance. From the point of view of equipment types employed in filtration, a much wider range is used for liquid filtration than for gas. In fact, almost all gas filtration is achieved by means of some kind of replaceable filter element, held in an appropriate housing; there being no equivalent to the complex process filters used for harvesting solids from a concentrated liquid suspension. Most gas phase filtration, and certainly all of that covered by this article, is used for the treatment of a dilute feed suspension – to remove a small quantity, often much less than 1%, of suspended solid particles or liquid droplets from a continuous gas flow. This is a clarification duty, and the process requirement is usually that the cleaned downstream gas flow be as free from contamination as possible. The filtration of air and other gases, free from suspended solid particles or liquid droplets, is still one of the largest applications for filters and related equipment. The total market for gas filtration (including demisting) is about $7 billion, and well over half of this is for the gas cleaning operations covered by this article. An important characteristic of gas filtration is the relatively large flow rate involved in some applications, which correspondingly require large filtration areas for a given installation. The low feed concentrations, on the other hand, permit operations with acceptable solid retention volumes, and gas cleaning filters very often involve depth filtration as the separation mechanism. The equipment used for gas cleaning is relatively simple, and the changes to it over passing time have been visible more in the nature of the filter media used to achieve the required cleaning than in the structure of the filter itself. In the early 1960s, at the start of the present review period, the bulk of gas cleaning was undertaken with bag filters or pads of fibrous materials or the single moulded cartridge that was similar to those used in liquid filtration. The filter media employed were mainly woven fabrics or felts of nonwoven materials, either natural fibres, or, increasingly, synthetics. Two system problems affected these formats: fibre migration and lack of filtration area. Unless they were very tightly bound into the body of the filter medium, the fibres of which it was composed gradually moved to the downstream side of the medium material and then migrated out into the clean air flow. This was a problem particularly associated with the filter medium in use, and from an early stage gas filtration media were used that had the filter media held tightly bound to the filter element structure. Where the filter element had to occupy limited space, it was restricted as to the amount of filtration area that could be packed into the active region of the filter. This could be a serious disadvantage where the suspension flow rate was high, but it led to the use of filter media in the form of thin sheets that were deeply pleated across the direction of gas flow. These pleated media took the place of pad filters, with much greater filtration areas (and greater solid retention volumes as well). Initially made of paper or pleated glass fibre sheets, the media in the pleated flat pad filters quickly accommodated themselves to the various types of spunmelt media, and most recently, to fibrous membrane structures. By the mid-1980s just about all of the present types of gas cleaning filters were recognisably in production, including especially the V-bank cartridge with pleated media, which is becoming the most important of all of the formats in its HEPA and ULPA embodiments, and with the media in the form of mini-pleats. Filter development since that time has been largely a matter of associating new filter media with established media housings. flat panel (consisting of a rectangular frame that is a sliding fit in a corresponding space in a dividing wall of an entry chamber, and carries either a thick pad of filter medium, or a set of pockets, or a piece of pleated filter medium). The filter cartridge, whether yarn wound, bonded fibre (or granules), or pleated sheet, has taken much of the filter bag's share of the gas filtration market, mainly because of its ability to offer finer levels of filtration – which is a demand trend that is as important in some gas filtration applications as it has become in liquid filtration. This trend is also leading to the use of membrane media in pleated cartridge applications. The cartridge is used quite a lot as a strainer in critical air filtration applications, especially compressed air production, but numerically is more common in baghouse uses. In volume terms, the greater part of air filtration is probably undertaken by the panel filters used to protect building ventilation systems, and the internals of large engines, especially gas turbines. These take the form, usually, of a rectangular frame, carrying some filter medium, which is fitted into a matching space in a dividing wall between the ambient air and the required clean zone. The filter medium in its simplest form is a thin pad of nonwoven material, but this has only limited capacity (for air flow and particle retention), and more often takes the form of a layer of pleated sheet material, or of a set of pockets protruding backwards away from the front of the frame, or, most recently and of rapidly growing occurrence, the V-block panel formed of sets of V-shaped zones whose sides are made of smaller panels of filter media made of mini-pleats. These panels are made to a small set of standard sizes, so that supplies are easily interchangeable, and they are offered by their manufacturers in grades matching the HEPA/ULPA and ASHRAE standards. The media are available in a wide range of materials, with much design ingenuity involved in ensuring the pleated material is effective across its total surface, even in the pinched spaces near to the folds. Of special note in the context of ventilation filters is the cabin air filter, to be found everywhere nowadays in vehicles and other transportation systems. Such filters are fitted to agricultural tractors to protect the driver from soil particles, in even the cheapest automobiles, to protect the driver and passengers from pollen and diesel fuel residues, and especially in enclosed systems such as airplane cabins, through which air is circulated and where removal of bacteria and viruses is vital. Considerable ingenuity is required of the vehicle designer to fit adequate filtration units into what may be limited and awkward spaces. The importance of the filter medium has been stressed, as the basis for successful gas filtration, and an important development here is the availability of materials with a density gradient across the thickness of the medium, even though this is quite thin, as with the Intrepid media from Kimberley-Clark. demisting of gas streams free of water or oil droplets. Not included in that list, and thus excluded from this article, are process exhausts, especially where these come from chemical reactions, like ore roasting, or heating furnaces, i.e. where the exhausts are hot, and usually heavily laden with suspended solids. One application of growing importance, which particularly involves gas filtration, is the use of filters that can also adsorb or destroy one or more of the gaseous constituents of the suspension. These combination filters employ a chemically active agent embedded in the filter medium material, the most common of which is activated carbon, as an adsorbent. There are also bactericidal and oxidising additives, which can make the combination filter into a very useful processing tool. One of the main themes in the development of gas phase filtration, as with all filtration processes, is that the requirement for freedom from contaminating material has been, and continues to be, more demanding with each passing year: the efficiency of cleaning should be greater with passing time, and the cut-point of solid particle separation should be lower. The key figures, for virus removal (to achieve complete sterilisation, whether in a cleanroom or in an airplane cabin), still look difficult to achieve. The pressure drop in the gas stream as it flows through a filter represents an energy loss, which has to be made up by the overall system. This is especially true in the large volume applications, such as gas turbine air intakes and process exhausts. In the case of filtration, this drive to more efficient use of energy directly opposes the major driving force represented by the need to provide ever-finer degrees of separation. This dichotomy is not easily resolved, since filter media that separate more efficiently usually need higher pressure drops to do so. Much development activity is being put into the production of media with lower pressure drops, such as the membrane materials formed from a surface layer of fine fibres, like Donaldson's Ultra-Web and the Nanoweb media supplied by Hollingsworth & Vose. These materials not only provide lower energy operation, but also give more efficient filtration. The pressure on the market for IAQ equipment, causing it to grow, will come from the usual economic forces, but there will be one or two special drivers, acting on all or parts of the sector. These special driving forces include, in common with the whole filtration industry, the need to be able to separate particles from suspensions at ever finer cut-points. Human health considerations will propel internal air quality standards to higher levels, which will reflect needs for higher filtration efficiencies, while the whole subject of carbon sequestration and recovery may throw up unexpected benefits. provision of higher IAQ standards in a wider range of residential and other care homes.